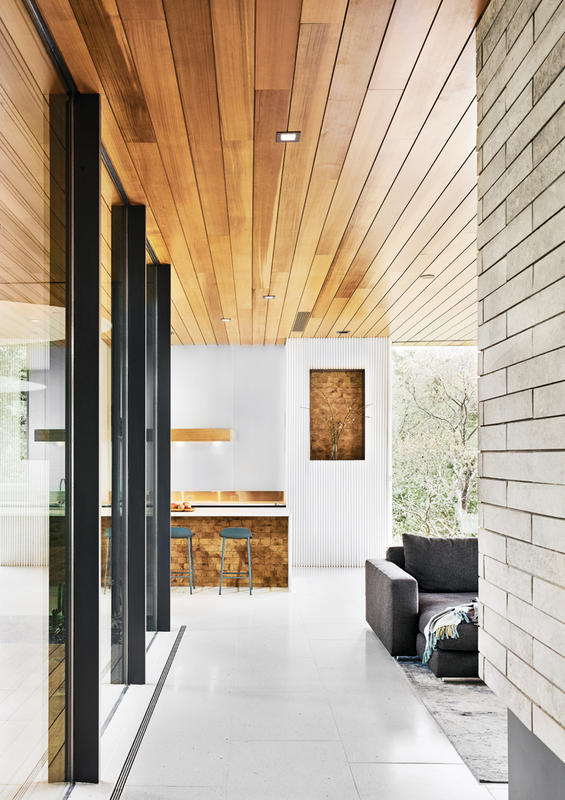 The Constant Springs residence by Alterstudio is a home for a family of four in Austin. 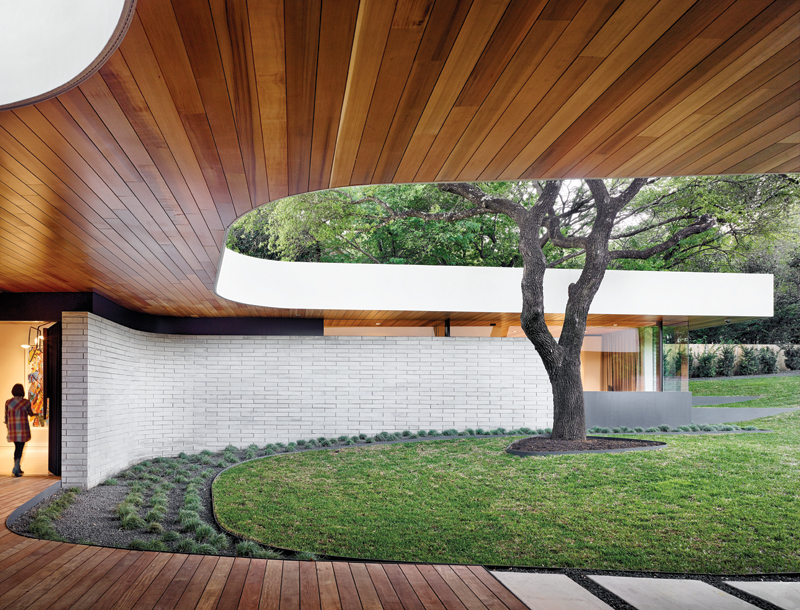 The project earned praises from the awards jury by focusing on the key features that make this house stand out — mainly how the house interacts with the landscape, and its dynamic roof. 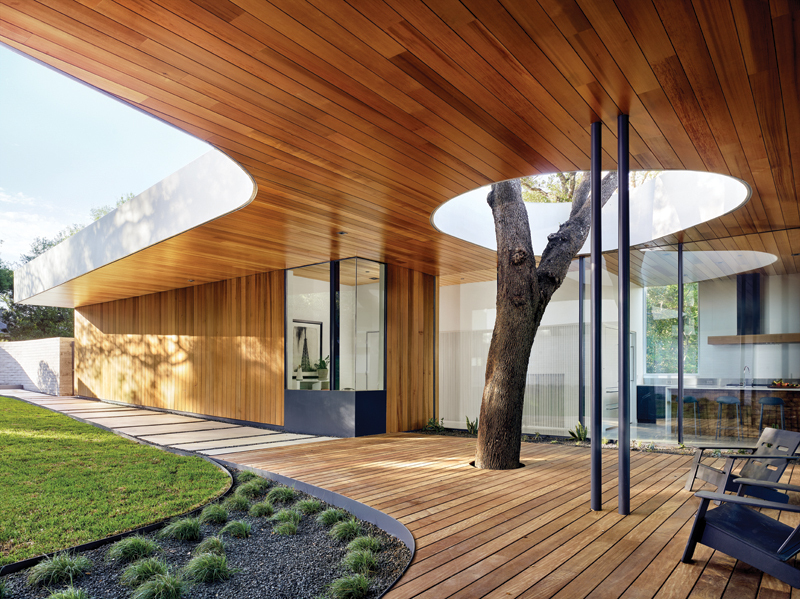 The form of the house seems to embrace the landscape of the front yard via the roof as it bends around an existing mature tree and then envelops another at the main entrance. The motion of the roof and the guiding forms of the exterior walls draw the view to the front entrance, where the warmth of the cedar ceiling and walls and ipe deck creates an inviting threshold to view through the floor-to-ceiling glazing. 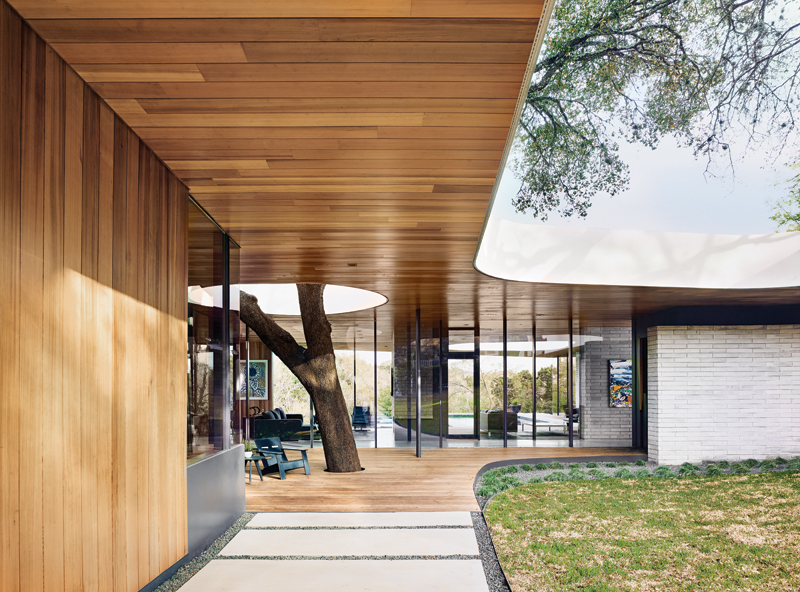 Here, light plays on the finishes and furnishings in the house against the backdrop of the dense tree cover in the backyard beyond. At the back of the house, the landscape is treated with equal reverence. In the spirit of, at once, restraint and celebration, the dense tree foliage at the rear of the property is left untouched. The back patio creates an overlook of the escarpment where it runs to meet the creek below. The pool is positioned at this vantage point, and above it the roof opens up, bringing an airy feel that emphasizes the value of the space. The roof had a striking effect on the jury. 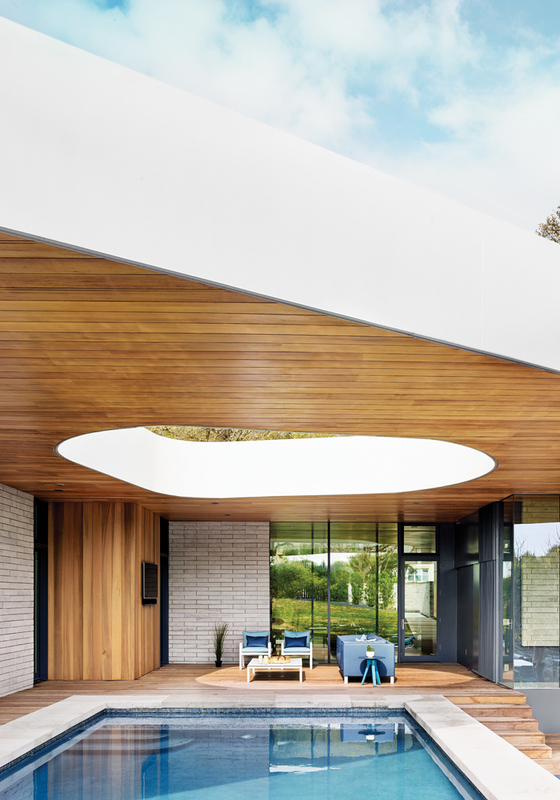 “One of the really great things about the Constant Springs Residence is that the roof plane moves over the pool and creates a nice oculus, and frames the different views both internally and externally,” said juror Vivian Lee. Other jurors noted how the roof, with its gentle shifts and openings, seems to dance with the living boxes below. The interaction with the landscape, the simple yet dynamic roof, and the overall attention to detail fill the home with fine moments. Framed views in and out of the house are lively from day to day and season to season. The detailing and finishes are augmented by light and reflections off the roof and the full-height glazing. The design, story, and landscape come together to create a memorable experience. Jesse Miller, AIA, is an architect with Megamorphosis in Harlingen.